How to deal with the death of a dog, so you can grieve and heal, is not an easy task. On my own journey I recognized that it truly doesn't matter if the dog is old or young, the death is sudden or expected from old age - the wound in the heart runs just as deep. For our beloved dogs, the true picture of innocence and unconditional love, are our friends and lighthouse on the shore as we weather the storms of life. Any pet lover knows that a dog is not "just an animal" - they are family. When we have to say goodbye, coming home to a quiet, empty house can hurt deeply...expecting them to bark when the doorbell rings or a wet nose on your face in the morning. It is a loss. Here are my tips along with my personal stories about grieving the loss of dogs. I hope it helps you heal so in the future you can remember your pet with a smile instead of tears. July 2011, when I was just about to turn 43 years of age, was my first experience with losing a dog. I wasn't allowed to have pets in the city apartments I lived in as a child and, when I got older, my dog from high school (once we bought a house) was put to sleep when I was away at college. My pets with my first husband, given I had no money when I left him for a house that allowed dogs, stayed with him. Those experiences hurt a lot, but my grieving came in saying goodbye when they were alive. I was the one moving out or leaving for college...and they were still healthy. So I cried like a baby - but it was nothing like the death of a pet, I would realize later in life. Then came Clementine in 1999 - my beautiful, purebred yellow lab that you see in this photo on the left. I had almost 13 years with her, and it wasn't nearly enough. She was the best dog in the world. She was friendly with children, people and other dogs. She was a lover and a snuggler. You could travel anywhere with her with zero effort. She was just the perfect dog. When she was around eight years old, she was diagnosed with inoperable retinal degeneration, so the last 4-5 years of her life she was completely blind. But she was amazing! When we sold everything and went rving full time, she thrived because it was a small space, easy to navigate, and she had us around 24 hours/day instead of at the office. But in July 2011 we knew it was time to let her go. I knew I was reaching the point where I was keeping her alive for me, not for her. She had so many ailments, confusion...she wasn't the same girl anymore. We made the drive to the vet - the most painful ride of my life. It was a gorgeous day and the vet's office was in the mountains, so the view was astounding. The doctor let us put her to sleep with the sun and wind on her face in the open air, lying on her blanket on the front porch. Her favorite food in the world was peanut butter, and she left this world gobbling down a jar of it as I held her in my lap. Her departure was so peaceful, it truly took away my own fears of death I'd had back then. But the pain was unbearable and Jim and my howls and yells of grief could be heard bouncing off the mountains. I thought I would never recover from the loss...but I did...and so can you. In my dog's case, where I wasn't shocked or surprised by her death and actually "planned" it, I truly thought the hardest part would be making the decision to euthanize, the drive to the vet and saying goodbye. It was a painful experience and put me in a state of shock for a bit, because it was just mentally and physically exhausting to go through. But then I came home without Clementine, and the real grief began. It was after the coming home that I really had to begin learning how to deal with the death of a dog. Everyone grieves differently, but here were my initial reactions. CLEANING HOUSE: I had to get rid of all of the reminders (bowls, bed, etc.) that now sat there empty. Keep in mind, however, that I was having her cremated and was keeping her pink harness - I don't recommend having nothing to hold on to...but I couldn't bear looking at the rest of the items. PET GRIEVING FORUMS: I gave myself a few days to let it out, uninterrupted. I lived on pet grieving forums for a few days, posting throughout the day. Surrounding myself with virtual hugs from people experiencing the same pain was my life preserver during the first few days. DON'T HOLD IT IN: We were at a campground and people knew us well. I would force myself to go outside once in awhile but didn't hold it in and pretend everything is ok. I found support by letting people know how much pain I was feeling with the loss and found solace as they shared their stories or just listened as I let out my tears. But after a few days of isolating myself, I was starting to see that a bad feeling was beginning to grow inside of me...GUILT! I never saw it coming - but that's when I knew I had to take action and taught myself the healthiest ways how to deal with the death of a dog. 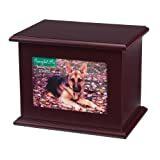 What to do when dog dies? I thought I had already been doing it the first few days after Clementine was put to sleep...I grieved, cried and let it out. But something was holding me back and setting me back further. I was reading my words in my forum posts and I finally figured it out: GUILT. Once I defined it, I began exploring and learning about this unexpected feeling after my dog died...and that is when healing truly began. For me, even though my caring vet agreed it was "time" as Clementine's body was failing (I made the decision but the veterinarian completely agreed) and her quality of life was basically lying in darkness (she was blind) and barely moving around...who the heck was I to make that call? One image that horrified me was when we got to the vet's office, Clementine acted a bit more animated than usual out in the sun, on the grass. So in my mind, I "killed" my dog. Now of course, this wasn't the case - but that is how it felt to me...I messed up making the call to euthanize. Extreme guilt because waited to euthanize until dog couldn't get up on hind legs (suffered). Guilty feelings for not trying aggressive treatments like chemo instead of deciding to euthanize (hindsight/too late). Dog killed by mountain lion when out of sight for just a minute (should have protected her). Waited to euthanize so long that pain was unbearable and had to be put to sleep in car (suffered). Should have noticed symptoms - could have caught cancer sooner (blame self). Left sliding door open and dog ran out and was killed by a car (blame self). These are just some examples but those who are feeling guilt over their pet's death need to recognize that feeling guilty is NORMAL. Waiting too long to put to sleep, feeling dog was put to sleep too soon (in my case), unable to protect dog from predator/accident, not trying aggressive treatments, not catching symptoms of terminal disease...every single pet owner in these stories was consumed by guilt. The goal shouldn't be how to get over the death of a dog - it should be how to get through the initial grief in a healthy way. I have an older dog right now and I know our years are limited. Saying goodbye to her someday will hurt just the same, but I am better prepared to handle my grief in a healthier manner. After the initial trauma of the euthanizing, isolating myself, letting it all out and acknowledging/working through feelings of guilt, it was time for me to start thinking about how to heal these wounds without "forgetting" Clementine. Knowing I am going to be cremated, I decided to keep Clementine's ashes and changed my final wishes so that they are spread along with mine in the secret mountain place I chose (Her ashes are in a tote box with my will, power of attorney documents, etc.). This gave me instant serenity. I kept a few meaningful items with me (her winter coat and booties that were handmade by a family member, her harness, tags) to cling to on days I miss her. I am so glad I didn't throw everything out initially. I stepped away from the grieving forum because, for me, it was keeping me cemented in the past (not that forums aren't good, but it was having the opposite effect on me...bandaid kept getting pulled off everyday). I wanted to think of her in a positive way each day, not remind myself of the tremendous loss I felt. I followed my gut - some things, like walking in the same fields with my other dog, I did because it felt ok. But I could not go back to the vet and see "that porch" for a long time. Don't force yourself to do things that feel impossible...but absolutely be as "normal" as you can with things that are do-able (meaning, don't lock yourself away from any reminder of your dog). Take baby steps each day to begin walking forward. EG84262 Features: -Decor. 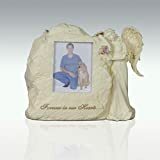 Dimensions: -Dimensions: 12'' H x 12'' W x 1.25'' D.
My final tips on grieving the loss of a dog are my personal feelings and what worked for me. They are tips I will follow when the day comes and I have to say goodbye to my other dog. But please respect your own unique self and needs. There is no formula and if it doesn't feel right to you, then it isn't. Do not decide to euthanize until you feel comfortable with your decision. Separate the feelings of "I don't want to do this!" from "I feel certain this is what is best for my dog." It will never feel good, but doing it too quickly will increase guilty feelings. Talk it over with your vet or get a second opinion. 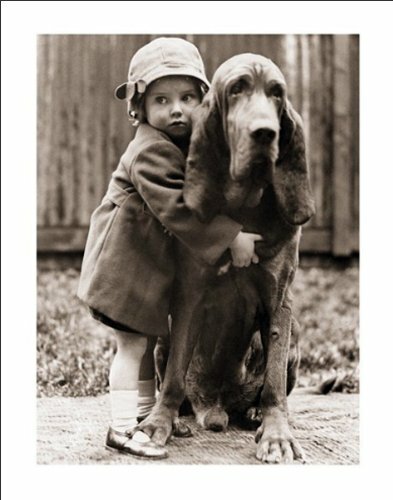 Most of all, "listen" to your pet...he/she will let you know it is time, too. For me, Clementine's energy/spirit left her before I made the decision. Do not throw away everything - most people, once healing, will want some reminders of their pet. If you have to, box it all up and ask a friend to keep it for you until you are ready. Decide and be comfortable with your decision on what you want to do with your dog's body after death. My daughter wanted a cremation necklace, I wanted her ashes spread with mine. Having a place to grieve, in my opinion, is important. Even if you don't want to keep ashes, you can spread them at your dog's favorite lake or trail and then visit/feel close to your pet when you need to. If you need to euthanize, no matter how incredibly hard and painful it might seem, I highly recommend you be there for your pet. I know it seems impossible, but it isn't an easy ride to drop your pet off with the veterinarian and leave, either. You will question what your dog went through, what he/she felt and, guaranteed, eventually you will feel you let your pet down. You can't undo this decision. Yes it was hard for me, but I know Clementine died on a beautiful day, lying on her bed in the fresh air, eating peanut butter...and I hugged her and held her in my arms as she left this physical world. Hard on me? Yes. Regrets? Absolutely not. 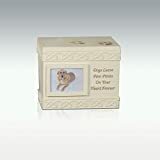 Do something to honor your pet - be it a memory box, writing an article, making a photo album...the key isn't to forget your dog, it is to keep her alive in your heart so you can smile when you think about her in the future. Explore your spirituality. I'm not religious, but I'm spiritual - believing all living creatures (including humans) have energy, spirit and are in this physical world to make an impact/serve a purpose during our brief time here. I won't dive into my own beliefs, but just summarize that I think animals have much more importance than modern society gives them credit for. Even believing animals are superior to humans on some important levels. My beliefs gave me peace and that is why exploring your spirituality can bring solace. If you aren't spiritual, making arrangements to have ashes spread together in the physical realm can also bring peace. 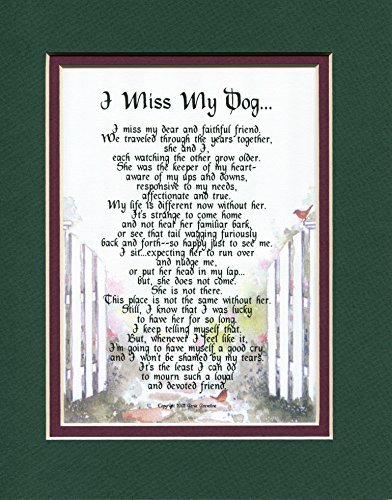 Finally, to sum it up, keep the goal in your grieving to eventually remember and honor the special love you shared with your dog - not to forget. Your love was something good...something never to be forgotten...it should one day be celebrated that you were so fortunate to have that pure goodness and joy in your life. frugalrvers, Do you talk about Clementine to Hannah? Beautiful article. I had to put down one of my wonderful girls this past November, I am still not over her loss. 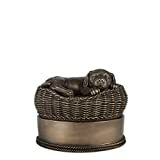 I think your saying do something to honor your pet is so true and so helpful. Our family decided to donate a little something to a local animal shelter in our girls name every month for at least one year. It's been very healing. So sorry for your loss, but thank you sharing this. 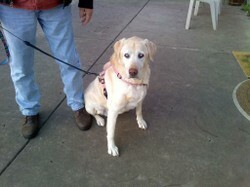 Katie, I'm so sorry - words can't describe the loss of a loving pet whose only desire is to give unconditional love. A friend of mine just posted about a routine visit to the vet that turned up a terminal illness to which she and the family decided the best choice would be to put their beloved boy to sleep. She went on to share the heart wrenching story. I was in tears, she was in tears, everyone was in tears, oh our dearest of family members/pets. Great conversation and stories what cherished pets and loved ones, vital members of our families. Great article. I can tell you after living with dogs all my life, usually multiple dogs at a time (7 to 12) that it doesn't get easier. You do, however, learn your own style of grieving. I usually make a web page in honor of the dog. Sometimes I have a portrait - lately they've been hooked rug pictures. That keeps them with me "forever"
It's not fair their lives are so short compared to ours. OH what a wonderfully beautiful idea, safe travels. Thank you Katie! Your daughter is so right, that they love you more than they love themselves. You are their world and all they ask for in return is a warm bed, food and your attention/love. If dogs ran the world, what a beautiful world it would be, eh?